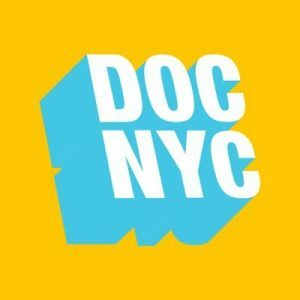 Last weekend I was in New York at DOC NYC, the largest documentary film festival in the United States! I attended the premiere of the documentary film, To Kid Or Not To Kid by filmmaker Maxine Trump. The film follows Maxine’s personal journey of moving through her decision to live childfree. 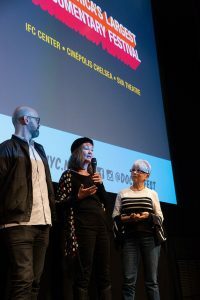 I have served on the Advisory Board for the film, appear in it, and after the sold out screening on November 11, was part of the Q&A (photo right, and that’s me in the black beret :)) at the festival. 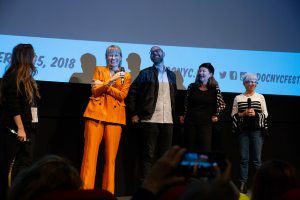 After some years of books out there on the childfree choice, seeing more films start to take on this topic will bring a swell to the wave of its road to societal acceptance! 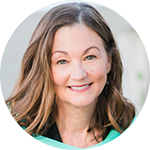 To Kid Or Not To Kid takes material from my book, The Baby Matrix, particularly in the area of pronatalism, and its negative effects on all of us and our world. Check out Maxine’s Director’s Statement for what motivated her to do this film and more. May it receive wide distribution! I am thrilled to be part of this film project that dovetails with my ongoing mission of society seeing the choice not to have children as equally valid as the choice to have them…and in the larger picture, part of finally reaching full reproductive freedom in our society.